Sales Training That Makes a Difference | Industry Analysts, Inc.
“Larry has provided our organization with outstanding sales training programs. His programs make our people want to learn. They are motivated to take his ideas and put them to use. We see immediate results in increased sales”. Jeff Dixon, Vice President of Sales & Marketing, Topp Business Solutions. 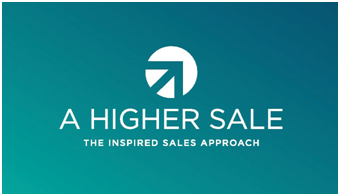 The Sales Career Training Program – An inspirational webinar based development program. The team (average 8 participants per class… quality, not quantity) meets the same time and day for 60-75 minutes over 8 weeks. Spaced learning allows participants time to implement course curriculum and provides the tools to focus on a Daily Activity System leading to more vibrant Sales Funnels. This program is sales centric and has won an International Best Practices Award for Sales Development. Participants will learn to move through a well-defined sales process and align it to a buyer’s decision process in a collaborative way. It’s about building Trust, Credibility, and Differentiation. While your competitors call themselves “solution providers”, participants will learn to act as problem solvers moving others to take action that will benefit them. * Proven system for New Business Development …The 7-7-1 Program leads to 7 more face to face meetings each week per average sales rep.
* A new paradigm for time management…Rule #94. * This program has been developed to fit well for new hires, telemarketers, and tenured sales executives that require process and improved skill sets in order to grow and maintain greater consistency. * This program breaks down the sales process into 6 steps. We move from one step to the next in a methodical, seamless way. *Each session is interactive. We ask a great deal of questions welcoming participant comments and questions at any point. * These sessions are both challenging and engaging resulting in participants wanting to come back each week. Coco Training is committed to making every participant better. Note: attendance rate is a 94+ %. * Flexibility- If a participant misses a class simply join another; make it up allowing rep to keep pace. * The Sales Career Training Program promotes improved behaviors and will truly make one think. The Sales Career Training Program allows you to invest in your people, develop a stronger company foundation, and grow much needed revenues. Investment: Pay only $695 per participant for three or more sales reps, or $795 per registrant. Never participated? Listen in and evaluate a class for FREE! This entry was posted in Uncategorized and tagged coco training, copier by IA Staff. Bookmark the permalink.